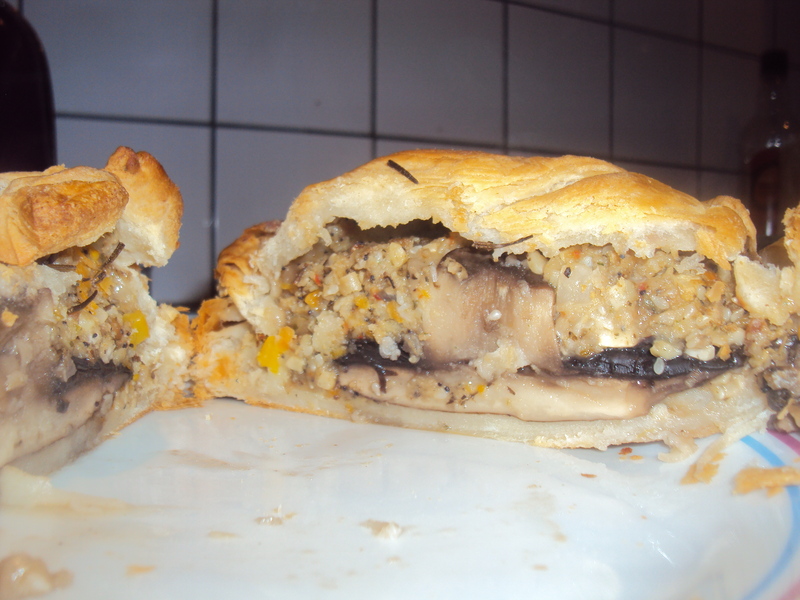 Quick and Easy Vegan Mushroom Wellington Roast Dinner. Something that I get asked often is “what do you eat?”** as people seem to worry that I don’t get enough to sustain me. Well, this simple vegan roast dinner was enough to fill me up Sunday night, and work out as a lunch for work on Monday! A nutroast mix – I cheat and use Artisan grains nutroast mix. I like to bulk it up a bit with extra breadcrumbs, veggies, nuts and seeds to give me plenty leftover for the rest of the week. Vegan cheese (optional) Use your favourite brand, mine’s vegusto for flavour, or MozzaRisella to melt down into a creamy sauce. All your usual roast trimmings. To create these wellingtons all you need to do is mix up your nutroast mix according to the packaging and pop it to one side as you roll out your pastry. (This is a cheat’s version after all!) Artisan grains is so simple, just add water! However, I like to chop up some extra nuts (brazil nuts work well, as do cashews) add veggies of choice (I like to add more mushroom and peppers) seeds and breadcrumbs to bulk it up. If you are doing this add more water so it doesn’t crumble, and a little melted non dairy butter (I use Vitalite) if you wish! 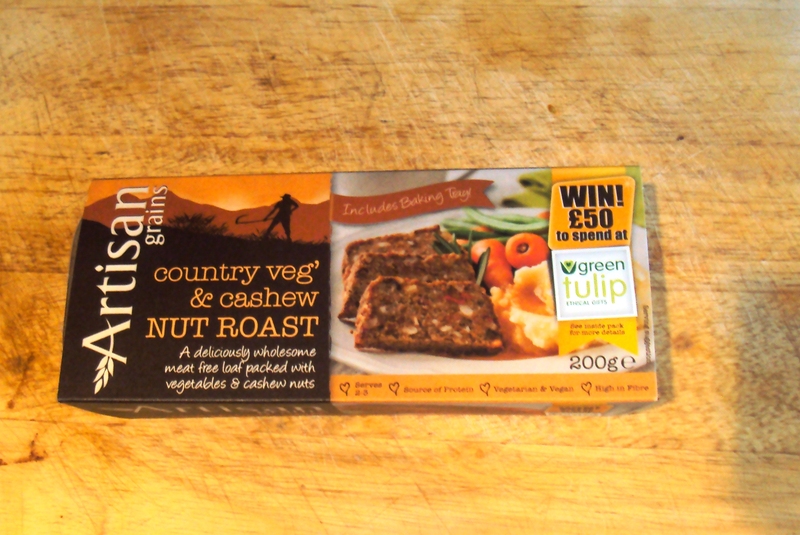 Artisan Grain’s nutroast out the packet, then made up with water and extra seeds, nuts & veggies. Then just roll out your pastry, pop on a portabello mushroom and add your nut roast and cheese slices on top and around the mushroom. 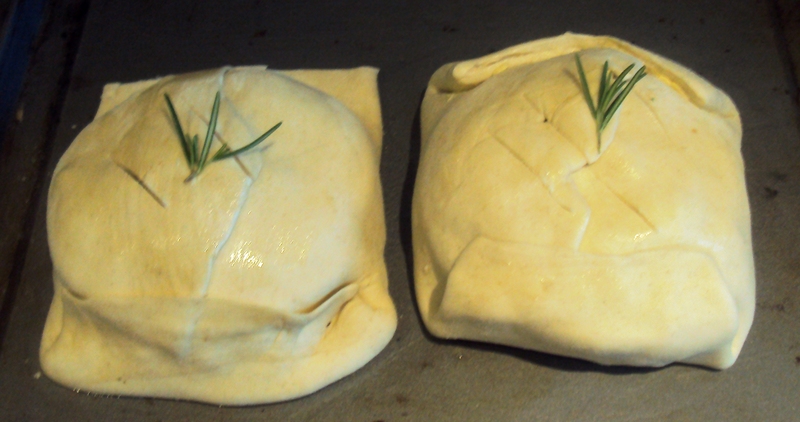 Fold over the sides of the pastry cover over your mushroom and press to seal to form a pastry package. 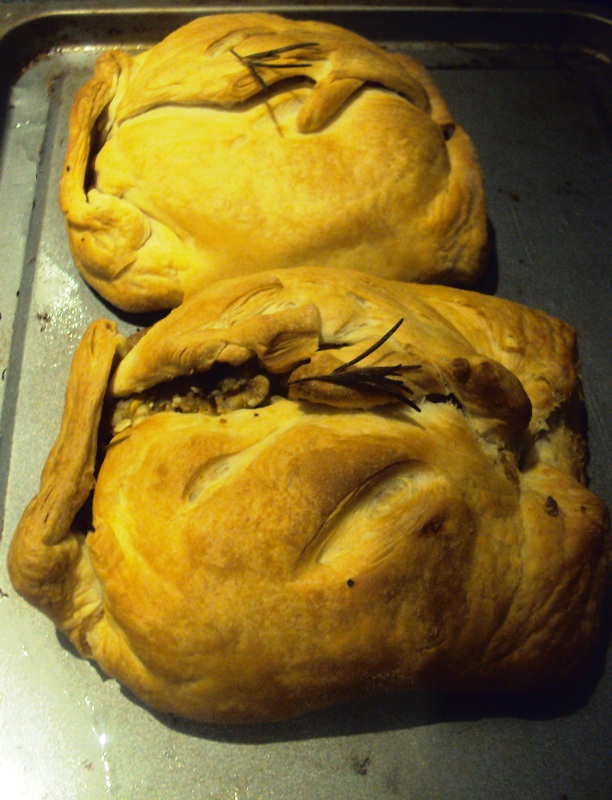 Pop the wellington onto a baking sheet and cook at around 180 for 30 minutes until pastry has turned golden brown. This was my end result! 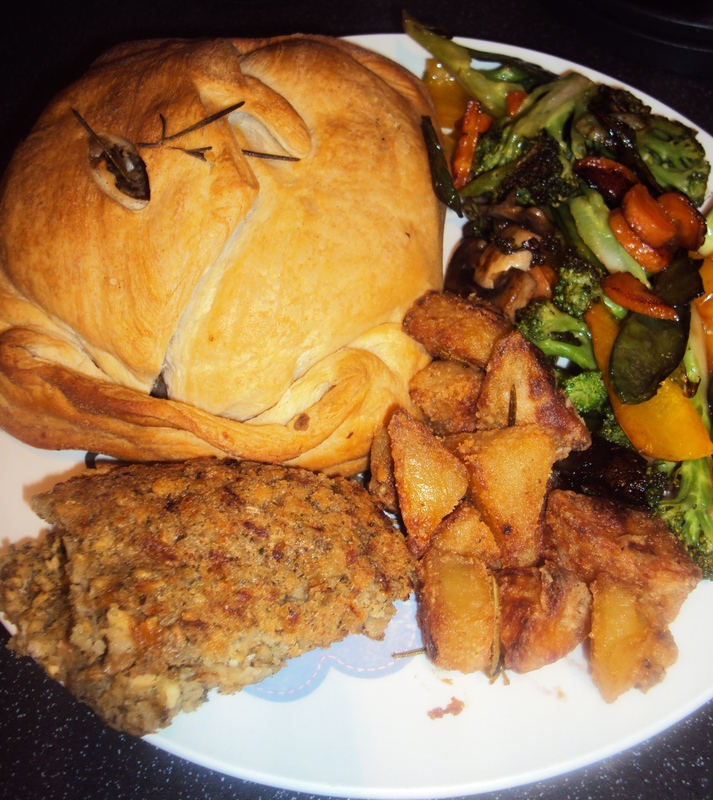 It turned out quite gigantic and made a nice change from some of my lazy Sunday roasts which can just be the veggies and Paxo, not really a balanced meal…..
Hope you liked this simple cheat’s version of vegan roast dinner! It can be prepared before so really is a simple and tasty option for vegans and non vegans alike! It went down well with the non vegan boyfriend so I’d be happy to cook it, or even take one larger one along to share at family Sunday meals when people are scratching their heads for vegan options! If you do have left over nutroast, like I do, you can use it for cheap meals Monday and Tuesday night. Just fry up slices with veggies, noodles and sauce for a quick stir fry, or mix it with cooked lentils to make little balls to add something extra to a curry.